The Intake session consists of a comprehensive review of past medical history and chief complaints, followed by the initial treatment. Analysis of issues to determine recommendation and herbal prescription. 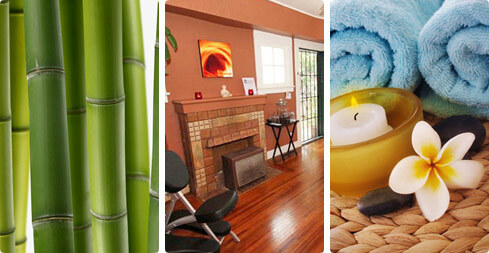 Christian Cristiano is the premier provider of Acupuncture and Herbal Medicine for West Hollywood and Beverly Hills. Christian has extensive experience treating patients and provides comprehensive in-depth care. With his passion for healing and wide-ranging empathy, coupled with his goal oriented approach, Christian appeals to everyone. For some patients, Christian’s Acupuncture services may be used simply to relax and escape from the outside world. For others, Acupuncture and Chinese Herbs are used to heal or prevent illness, treat an injury, or as a crucial element in a health maintenance or overall wellness plan. Whatever your reason, Christian strives to ensure a relaxed and homeostatic state so that your body and skin functions at their optimum level. Christian began his career as a healer 11 years ago. His practice has grown and due to Christian’s dedication to your health and wellness, he has become Los Angeles’s most sought after healer. Christian works with other highly trained, educated, and committed healers able to perform the very best well-being services you will find in West Hollywood. Using Acupuncture and Chinese Herbs, Christian works to help patients achieve their health and wellness objectives as quickly as possible. During your first treatment with Christian, he will assess your overall health, discover what your wellness goals are, and find out how he can help you to achieve them. If it is a stress reducing relaxing session is what you are looking for he is happy to oblige. Christian works at Harmony Studios Pilates which is located in West Hollywood, California. Harmony is a warm welcoming studio where clients feel calm and relaxed as soon as they step inside the door. We specialize in helping the mind, body, and spirit with the intention of bringing balance to our lives. Christian has spent many years studying the medicinal benefits of Chinese Medicine on the human body and how to apply these techniques to promote inner balance and relaxation. Christian also proudly offer San Diego-based Jadience Herbal Formulas skin care line. To find out more about our services come visit us!